Natural ‘barcodes’ of information, built into human faces for recognition of other people, may also help improve face recognition software, according to a study. Faces convey a vast range of information about people, including their gender, age and mood. For humans, the ability to locate a face is important as this is where we pick up many of our cues for social interactions. While recognising a person’s face is a complex process, the first steps to processing visual information in the brain are thought to be more basic and to rely on the orientation of features such as lines. By manipulating images of celebrities like Chris Martin and George Clooney, Steven Dakin from University College London (UCL) and Roger Watt, professor, University of Stirling, showed that nearly all the information we need to recognise faces is contained in horizontal lines, such as the line of the eyebrows, the eyes and the lips. 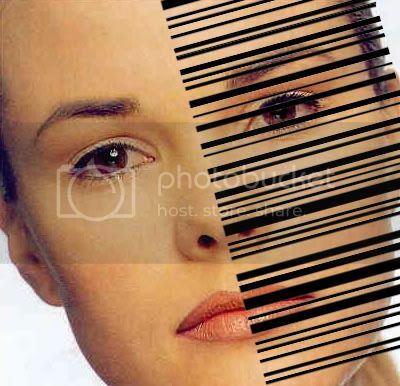 Further analysis revealed that these features could be simplified into black and white lines of information- in other words, barcodes. Dakin believes the research may have implications for improving face recognition software, for example, for use at an airport where police may need to locate a suspect in a crowd on CCTV cameras. The ability of such software to recognise individuals has improved vastly, but is still poor at the first step: locating faces in complex scenes. Supermarket barcodes were developed as an efficient way of providing information: straight, one-dimensional lines are far easier to process than two-dimensional characters such as numbers. In a similar way, our faces may have evolved to allow us to convey effectively the information needed to recognise them, said an UCL release.